Today on Saturday 12th March 2011 29th World Cup Match of Group B is going on in Nagpur. 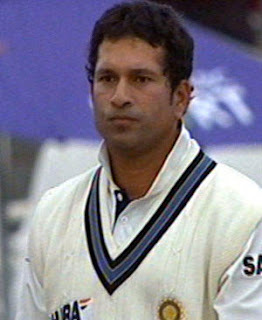 The Match started at 2 PM and India elected to bat first after winning the toss. The decision of batting first proved good one for India and openers Sehwag and Tendulkar given good opening stat to their team. Sehwag got out after making 73 runs. Sachin Tendulkar is still not out on 111 while Gambhir is playing on 64 runs. Current score of India is 266 in 39.2 overs for loss of just one 1 wicket. India will be thinking to set a total over 350 runs. South Africa also has a strong batting line so it will be interesting to see whether they will be able to get this massive total or not?